SnapCacklePop: One Direction release ANOTHER movie of their forthcoming concert..! One Direction release ANOTHER movie of their forthcoming concert..! In advance of their On The Road Again 2015 Australian Tour, phenomenon One Direction are releasing another movie to cinemas in Australia for just one weekend on October 11 and 12. This one off cinema event is to released in an unprecedented 70 countries worldwide on over 3,000 screens and 10,000 screenings for one very special weekend. 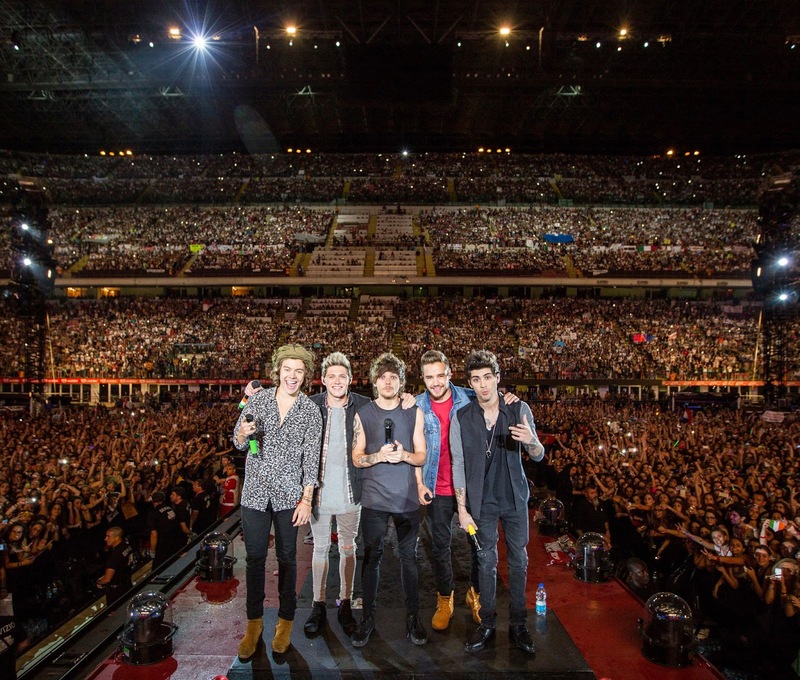 The One Direction: Where We Are – The Concert Film will give fans around the world an un-missable opportunity to join Niall, Zayn, Liam, Harry and Louis on the Italian leg of their sell-out world tour. Recorded at the iconic San Siro stadium in Milan, fans can see it first on the big screen and enjoy a spectacular 75 minute full concert experience ahead of their ‘On The Road Again’ 2015 Australian Tour. So if you missed out on the concert tickets or want to save yourself a few bucks, head down to the cinema on 11th & 12th October. The movie will be shown at cinema's across Australia..!